The need for blood is constant. Every 2 seconds someone needs blood. Your blood helps more than one life at a time. Accident victims, premature babies, patients undergoing major surgeries require whole blood, where your blood after testing is used directly. Patients suffering from trauma, anemia, and other surgeries require only red blood cells, which is separated from your blood Similarly blood platelets are used for cancer patients undergoing chemotherapy or for those undergoing treatment for dengue fever etc. Fresh frozen plasma is used for patients having massive transfusions, plasma is used for burns and cryoprecipitate is used for hemophilia. • To replace blood lost because of accidents or diseases. • To treat shock due to injury. • For Major & Minor surgeries including open heart surgeries, transplants etc. • For patients suffering from Anemia. • During child birth for the mother. • For exchange transfusion for new born infants. • To make blood derivatives which are used to treat medical problems. • For children suffering from ailments like Thalassaemia, Hemophilia (bleeding disorders), Leukemia, Blood Cancer. 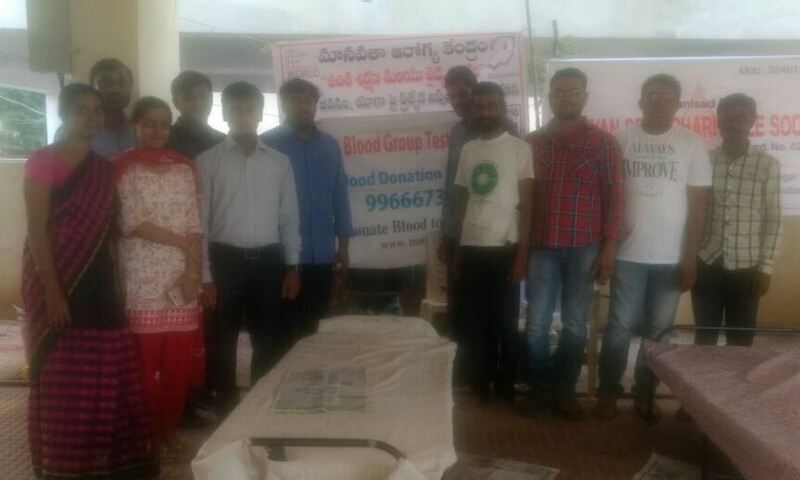 Manavata, group of young volunteers has taken a responsibility to collect blood donors information locally to help the needy in time. From past 15 years of service, Manavata could manage to get good number of volunteers and many of them have donated more than 20 times. Some of the volunteers have been donating blood for every 3 months. They are very happy that they could save many lives and now they are more energetic after many blood donations.. Now Manavata volunteers are serving in different geographical regions. 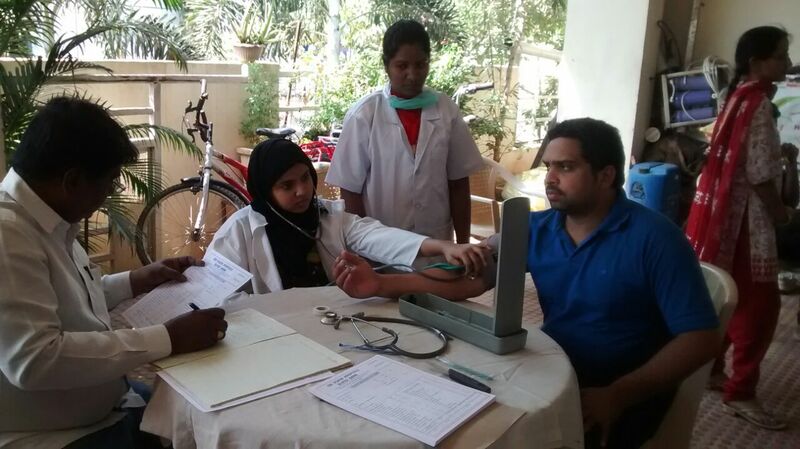 Manavata has committed to save more lives by encouraging more volunteers. It would be great if you can join this mission and help us in serving needy. 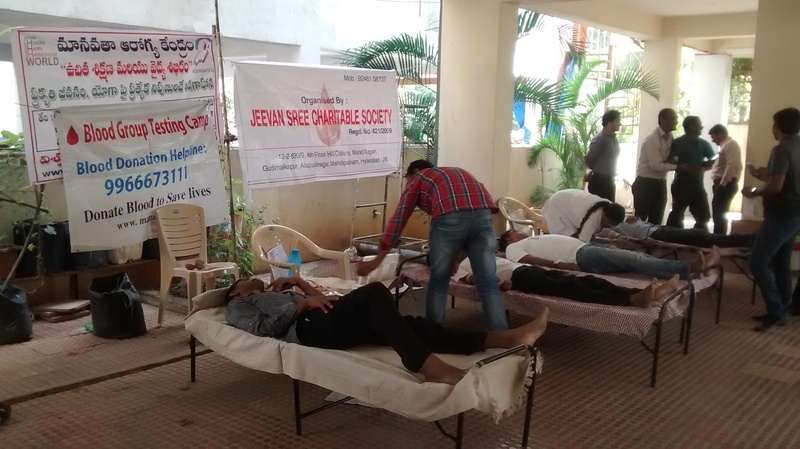 In 2006, our Hyederabad chapter was able to help 500 patients with volunteery blood donation. Manavata help lines for blood donors have been working in different chapters significantly increasing number of donors. 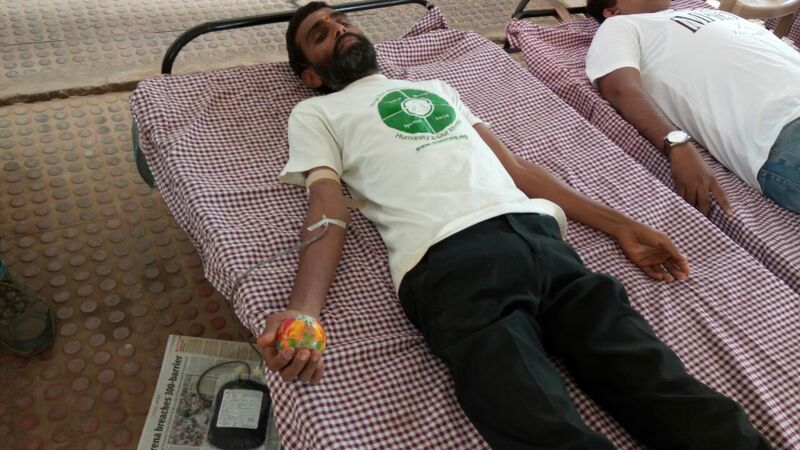 In Feb 2005, Manavata voluntary blood donors donated blood to save the life of a person scheduled to undergo a major cardiac surgery at Care Hospital, Hyderabad. In Nov 2004, our Manavata volunteer Mr. Sekhar Nidadhavolu had travelled all the way to Chennai, which is 600Km from his place to donate O-ve blood to save a 9 year old girl operated recently for her heart problem. With the kind hearted help from Sekhar, girl’s family was very happy and appreciated Manavata’s services.